Did you Know this about the human body chiropractors? The human brain cell can hold five times more information than any encyclopedia. More than 90% of all illnesses are caused by or are complicated by stress. The average number of nerve cells (neurons) in your brain is 100 billion. On average, the chance of contracting an infection during a hospital stay is one in 15. You shed and regrow your outer skin cells approximately every 27 days. A tooth is the only part of your body that can’t repair itself. If joined end to end, the blood vessels in your body would stretch about 60,000 miles or 2 1/2 times around the Earth. The main focus in our office is your Spinal Bone, because of its relationship with your nervous system. The Spinal Bone is made up of 26 bones, called vertebrae,which protect and support important body parts and help you maintain your posture. supports the weight of your body. the sides of the vertebral body and attach to muscles. the vertebral body and the transverse process. spinous process and the transverse process. right, your right side will be heavier. the appearance of a short (contracted) leg. Adjusting the hip or lower back moves bones back into proper position, relieves nerve pressure, and corrects the shorter leg, so that both legs are even. Look in the mirror. Does your body look straight or are you tilted to one side? Is one pants leg longer than the other? A simple adjustment may be all you need to correct that. Why not call and make an appointment? We deliver precise adjustments and peace of mind. Progressive Rehab™ at Healthsource Chiropractic of Wesley Chapel is the combination of precise chiropractic adjustments with pain relieving and stabilizing rehab therapies . This allows us to address the muscles, joints, and alignment in the same visit offering quick relief pain and nerve pressure. Two adjunctive therapies often added are “Cold Laser Therapy” and “Non-surgical Spinal Decompression Therapy”. When combined with specific chiropractic adjustments , the results are simply amazing. In fact, new research shows spinal decompression to be very successful in treating painful herniated, slipped, and bulging disc! If you have been to other chiropractic offices over the past 50 years you may have experienced techniques that incorporate muscle stimulation, roller tables, and you might get an ice pack or heat pack. These modalities are known as “Passive Care”. HealthSource offices have these modalities, but uses them on a limited basis, since they usually only cover up pain temporarily. Even the insurance companies are catching on to the limits of the modalities, and some no longer cover them. 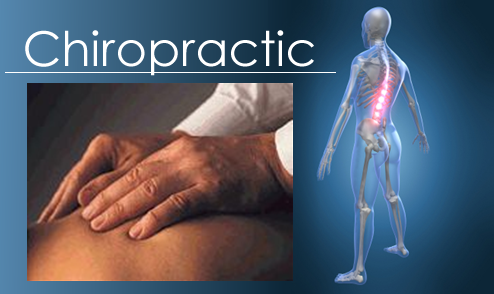 chiropractic adjustments usually gets to the root of problems like: decreased mobilization, poor circulation, bad lymphatic drainage, muscle trigger points, muscle spasms, adhesions, pain, decreased range of motion, decreased strength, decreased flexibility, decreased endurance, poor balance, decrease coordination, and bad posture. Our Chiropractic Care in Wesley Chapel Florida have gentle, caring chiropractors that get you feeling better again, quickly. Every member of our team has been educated to help you better understand “Chiropractic Care” and what it is all about. Chiropractic care is about whole body wellness, We not only focus on back pain, neck pain, headache, sciatica, fibromyalgia and other common concerns, but also on prevention, wellness and nutrition. Spinal Decompression, a leading edge non-surgical and non-invasive technology, is available in many of our offices for patients with severe conditions. You’ll Become Another “Raving Fan” Once You’ve Visited One of Our Chiropractor offices in Wesley Chapel. For Quick Pain Relief! An aching body, like your back, neck, shoulder or wrist can really ruin your day. It’s no fun not being able to do the things you want to do, like playing with the kids, golfing, gardening, or even taking a walk or bike ride. It’s common to hear patients say they’d only trust our chiropractors and therapists to work on their bodies. You get more than just great pain relief at HealthSource Chiropractor in Wesley Chapel. Since you’ve looked us up on the web, you’ve probably got some pain, and it’s probably pretty significant pain. Whether you have back pain or neck pain, headaches, arm or leg pain including sciatica, carpal tunnel or even fibromyalgia, we may have just what you are looking for. Everything our chiropractic offices do for our patients is about getting you back to enjoying life, pain free and on your terms. To do that, we have pioneered a unique system of care we call Progressive Rehab. We combine the talents of skilled chiropractors, licensed massage therapists, and progressive rehab staff all dedicated to your health. When you come in, you’ll be greeted by a friendly and caring team member, and then you’ll get a thorough Community Service Screening and a written action plan. Your plan is personalized specifically for you to get you feeling normal again, whether you suffer from mild or extreme back pain, neck pain, headaches, and arm or leg pain including sciatica, carpal tunnel and fibromyalgia. And rest assured, we have hundreds of Offices all over America using our progressive rehab on thousands of patients every day, and chances are some of them are your friends. So go ahead and browse our web site for any information you need, and when you are ready to get rid of your pain, call the nearest HealthSource Chiropractic Office. We look forward to meeting you. And rest assured, we have hundreds of clinics all over America using our progressive rehab on thousands of patients every day, and chances are some of them are your friends. So go ahead and browse our web site for any information you need, and when you are ready to get rid of your pain, call the nearest HealthSource Chiropractic clinic. We look forward to meeting you.